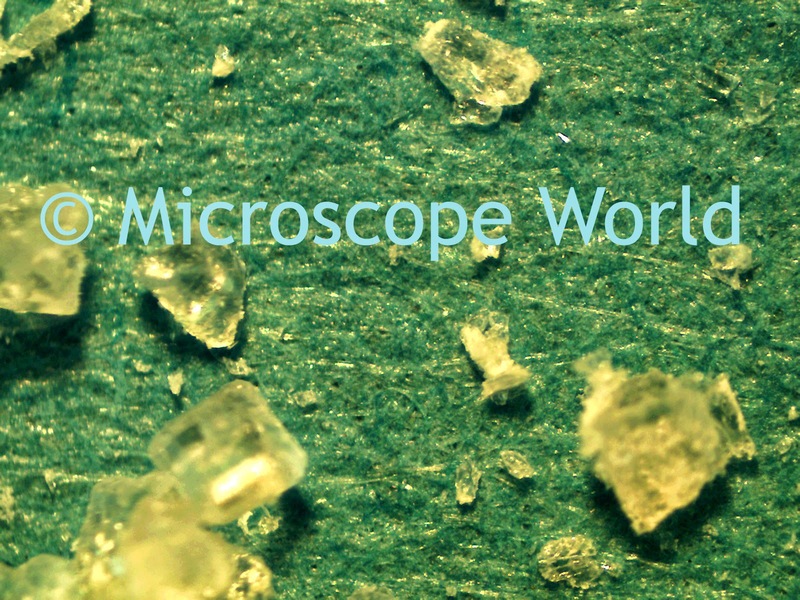 Sugar crystals under a stereo microscope at 40x magnification. Sugar under a polarizing microscope at 200x magnification. Measure the wooden skewer so that when you hold it straight down into the glass it does not quite touch the bottom of the glass. You will use the clothespin to secure it across the top of the glass. Set the clothespin and skewer aside. Find an adult to help you boil your water and add about 1/4 cup of the sugar, stirring as it dissolves. Each time the sugar dissolves, slowly add more. Continue stirring. Each time you add more sugar it will take longer and longer for it to dissolve. Keep stirring! Once no more sugar will dissolve, turn the heat off and let it cool for about 20 minutes. Have the adult pour the hot liquid into the tall glass. Now insert the skewer into the middle of the glass and secure it at the top with the clothespin, so it hangs straight down. 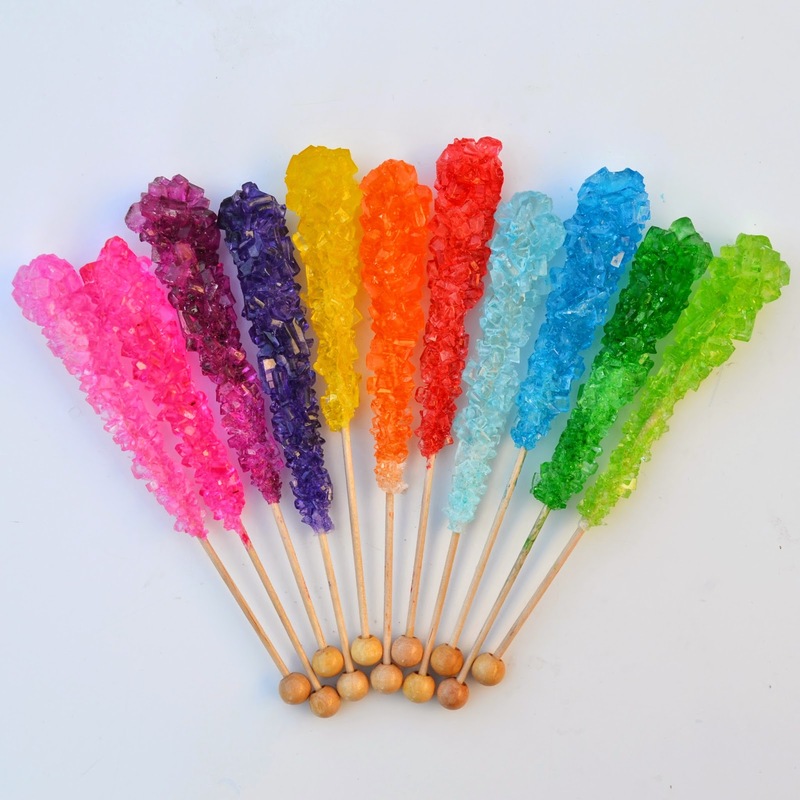 Over the next week sugar crystals will form on your skewer! If you want to make colored sugar swizzle sticks, add a few drops of food coloring to your mixture. 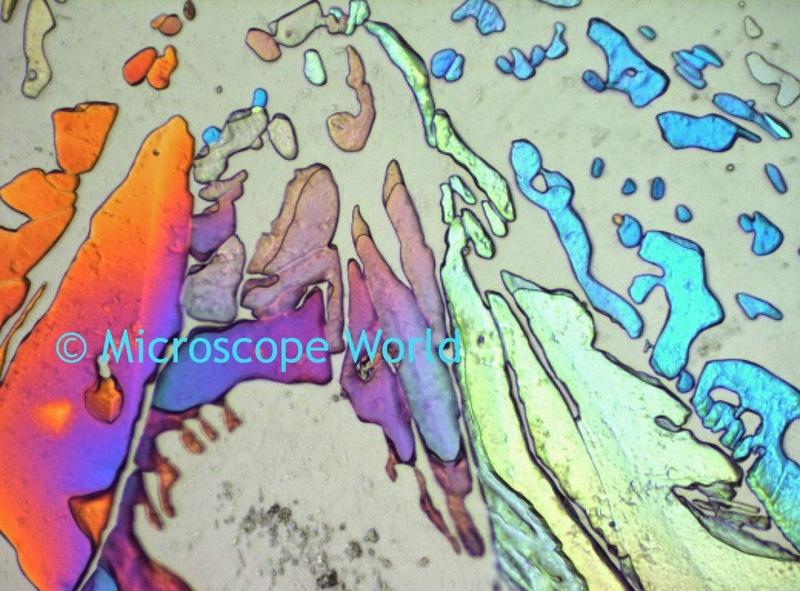 Once you are finished making your swizzle stick, break off a small piece of rock sugar and look at it under the microscope. What do your crystals look like? If you capture some good photos email us and we will share them on our Facebook page!